I think my niece, who is to turn 12 soon, would love this! in my fave program - publisher. And, I used a paper I have had forever... from an old DCWV set I think. 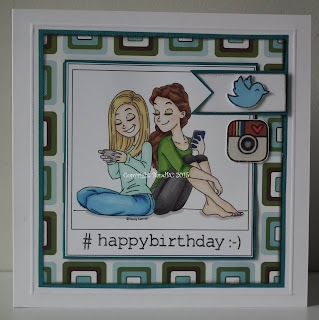 What a great set of stamps and I love the card you have created with them. Thanks for joining in at Crafty Boots Challenges this time. 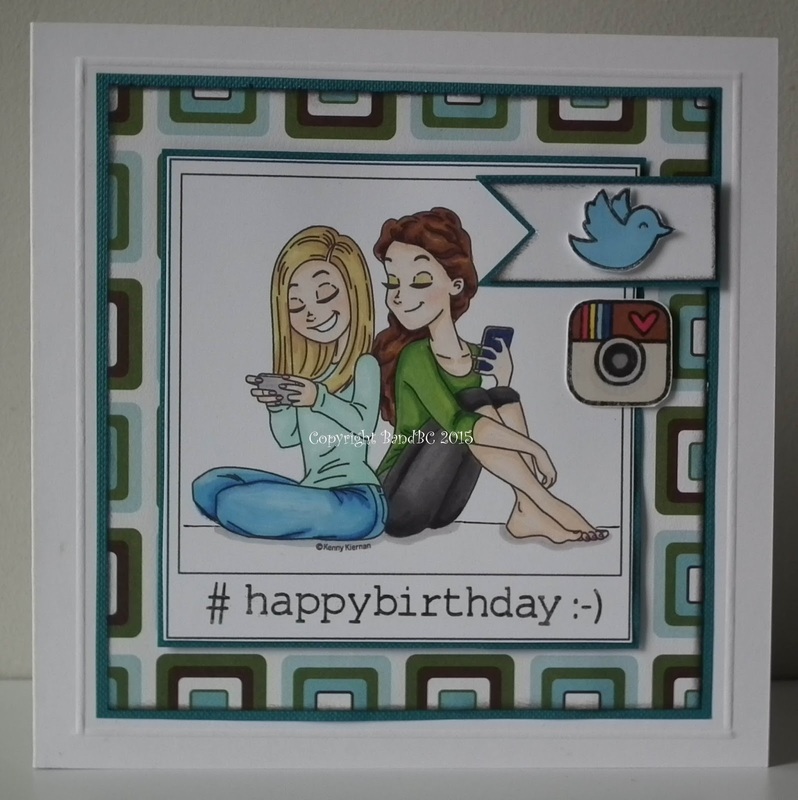 Fab card, the image is perfect for a teenager and it is beautifully coloured. Thank you for sharing your work with all of us at Crafty Boots Challenges. Adorable! Love the layout and the colors and the coloring is great! Great job! Thanks for joining the challenges at LMMS this week! What a cute image. I really like how your framed everything up with a scored outline around the mat. Thank you so much for sharing this with us at Through The Craft Room Door. This is such a fun card!! I love your Polaroid and Instagram look! Thanks so much for playing along with us at AIMPDC8!! Oh I just love this card! The paper you chose is perfect with that image! I'm so happy you joined us for the Doodle Pantry AIMPDC! I hope you will join us again soon. This is adorable!! What a cute image and the "embellishments" are perfect!! Thanks for playing with LTSCB. Perfect sentiment, perfect paper and perfect details for this cute image!